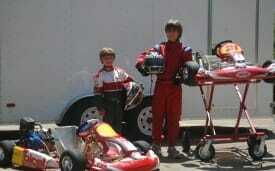 Our collection is quite modest consisting of two Birel C-28 karts one with a rotax engine and one with a clone engine. 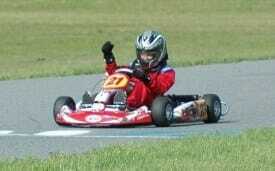 My son Connor(10) just started racing this year with a great group of karters in the Southeast Rotax Super Series. Jack(6) will start driving this summer. Helped my brother with his formula V W endeavors in Ireland while I was going through college. I am a veterinary surgeon with Upstate Veterinary Specialists, a referral practice we founded 12 years ago in Greenville, SC. Primarily pleasure and training. We are looking for a track close to home for regular seat time and practice. A motorsports park that has karting as one of its priorities. Proximity to home, well-rounded nature of the project. Projects like this don’t get rolling without the support of you out there in the driving community. Thanks Jeremy and all the team at AMP for all the hard work getting this project this far.